Every year, by the second half of August an important modern military history and re-enactment event takes place in the Czech Republic, near Králíky, a small town in the Ústí nad Orlicí District, Pardubice Region. The event got its name „Cihelna“ („Brickworks“) from a combat installation of the Czechoslovak fortification line from 1936 – 1938, the infantry block K - S 14 "U cihelny", which also represents one of the highlights of the demonstrations. The main program consists of a series of combat shows with topics aimed at WWII done in cooperation with different military history associations. Furthermore there are presentations of the Czech Army, Police, Prison Service or the Emergency, Fire and Rescue services. This year’s edition takes place from 17th till 19th August. The main program: combat demonstrations, are planned for Saturday, 18th August. The program starts on Friday morning with a parade of military vehicles through Králíky and the neighbouring villages. In the afternoon it continues with a public rehearsal of the main program. In the late afternoon the cultural program takes place in the town center. On Saturday from 10 a.m. to 5 p.m. the main program is presented in the area of the military museum and the infantry block K - S 14 "U cihelny". The motto of this year’s main demonstration is: "From Treason to War…". It reminds of the mobilization of the Czechoslovak forces in September 1938, their willingness to defend their country against Hitler's aggression, and the humiliating retreat from the fortification lines and defence positions, ordered by the government following the Munich Agreement. A settlement allowing Germany to annex border regions of Czechoslovakia, mainly inhabited by German speakers; signed on 29th September 1938 by Germany, Italy, Great Britain and France as a result of the appeasement policies by the Western powers: "The government had to choose between war and shame. They chose shame. They will get war too," W. Churchill said. The first demonstration will present clashes between the regular Czechoslovak Armed Forces and the Sudetendeutsches Freikorps, a Nazi paramilitary organization founded in September 1938 by direct order of Adolf Hitler to escalate the crisis; the program will than follow the development of the situation by re-enacting the occupation of the Těšín region by the Polish army which was a secondary consequence of the Munich Treaty. 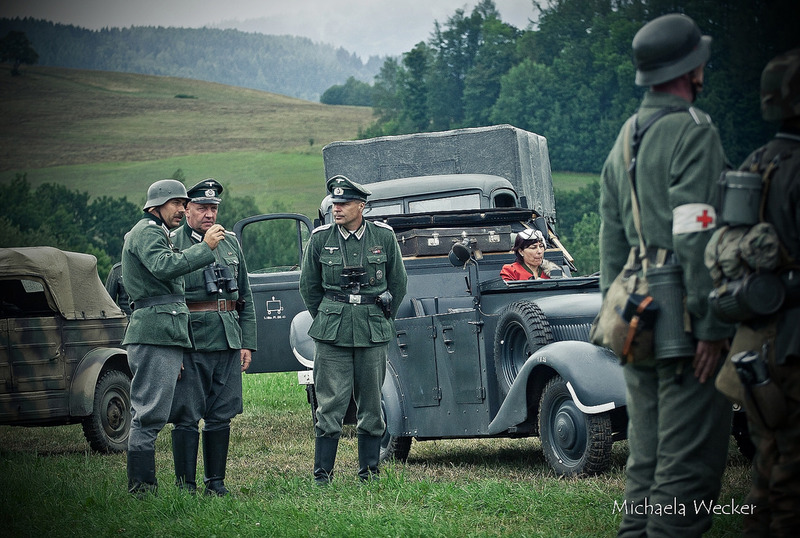 In the afternoon the program will continue by re-enacting scenes of the beginning of the war in September 1939. 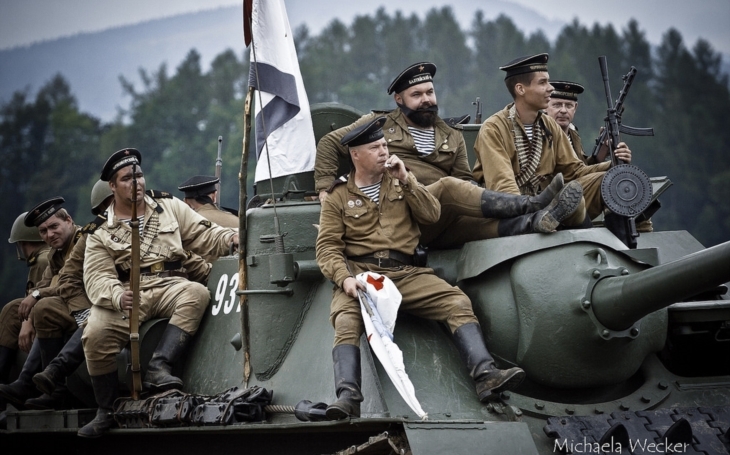 The visitors will specate scenes re-enacting both the German and Soviet agressions against Poland. The combat demonstrations will be completed by static exhibits of historical and current military vehicles, arms and equipment from collections of different museums and private collectors. 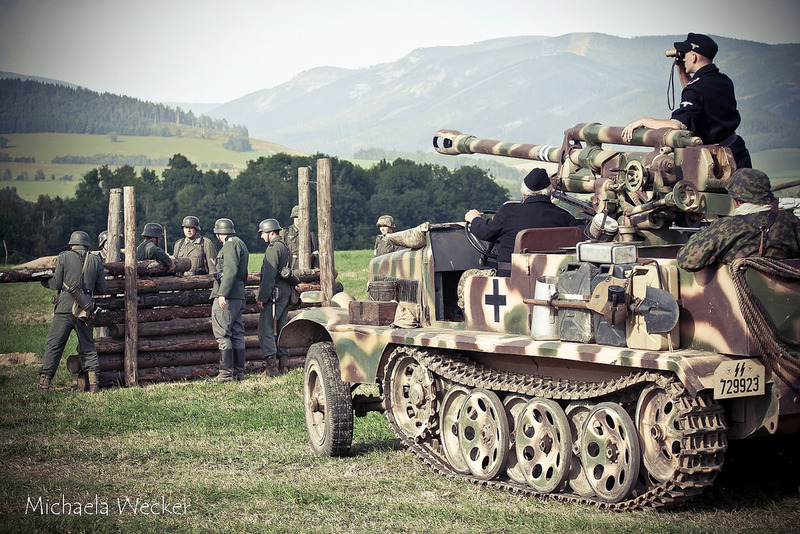 Furthermore the visitors will be offered dynamic performances of historical military vehicles, units, and camps presented by a number of re-enactment clubs. The event is organized by the town of Králíky and ARMYFORT Ltd., the operator of the military museum, the re-enactment programs by the Military History Club Erika Brno, and the event is supported by the Support Division of the General Staff of the Czech Armed Forces, which is responsible for concept, control, professional and methodical management of the logistics, communication and information systems, and military medical service of the Czech Armed Forces. The full event’s title is „Day of Support Forces of the Czech Army – Cihelna 2018“.